Figure 5.6 P and S wave speeds versus depth in the Moon. The rapid increase in P and S wave speeds at shallow depths is consistent with a heavily fractured surface layer that becomes less fractured with depth because of the increasing pressure, and is unfractured below a depth of about 20 km. Figure 7.4 shows that there is a small but sharp increase in the speeds at about 40 km (on the near side), widely believed to be due to a change in composition, from the lower density silicates found in abundance at the surface to higher density silicates including the pyroxene and olivine that dominate the Earth's mantle. Samples of the higher density silicates have also been found on the lunar surface, excavated by huge impacts that created large craters. Thus, in addition to the core, there seems also to be differentiation into a crust and mantle. Within the mantle, at a depth of about 500 km, there might be an increase in wave speeds sudden enough to indicate a change in composition - a change in crystal structure in mantle materials would not occur at this depth. Wave speeds are not shown beyond a depth of about 1000 km. There are too few data from waves that traversed greater depths. This could be due to the deflection of downward-propagating waves from near-surface sources. It is also the case that there have been no moonquakes sufficiently close to the centre of the far side for undeflected waves to have traversed the core. Another possibility is strong attenuation in a plastic and therefore warm medium. It is thus possible that there is partial melting within a radius of about 700 km of the centre. Thus the transition from solid to a partial or total melt could be within the mantle, as shown in Figure 5.5, and not, as in the case of the Earth, at the core-mantle boundary. Thermal models of the Moon, incorporating measured abundances of radioactive isotopes, are consistent with a deep-lying (partially) molten region. These models also indicate that the lithosphere became as much as 60-100 km thick within a few hundred million years of lunar formation. The ancient cratered surface supports this conclusion, because a thin lithosphere would have allowed remoulding of the surface. The lunar magnetic dipole moment is too small to measure, so we only have an upper limit, about 10-6 that of the Earth. Clearly, if any iron-rich core is (partially) liquid, then either it is not convecting today, or the rotation of the Moon is too slow for a field to be generated - the sidereal rotation period is 27.3 days. However, weak magnetic fields have been detected in the surface rocks. In some cases they seem to have been produced by the effects of impacts, but in other cases exposure to a magnetic field 3500-4000 Ma ago seems to be required. Clearly, one possible source of such a field is the lunar interior, indicating that there might have been a time when the liquid proportion of any iron-rich core was more extensive or more convective. The lunar rotation would also have been more rapid then - it has since been slowed through tidal interactions with the Earth. However, it is very likely that the magnetic dipole moment was always considerably smaller than that of the Earth. There is a lot of observational evidence that the Moon has a whole-body composition broadly similar to that of the Earth's mantle. This is consistent with the theory of the origin of the Moon outlined in Section 2.2.4, in which a differentiated embryo 10-15% of Earth's mass collided with the Earth and ejected the material from which the Moon formed, in as little as a year or so, giving the Moon a warm birth. In this theory, very little of the iron-rich cores of the Earth and the embryo would have been ejected, and so the Moon formed largely from material derived from the mantles of the two bodies. 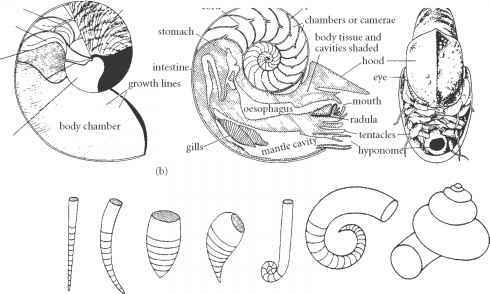 The embryo would have had a similar composition to the Earth, having been formed in the same region of the Solar System, and this is borne out by the oxygen isotope ratios 18O/16O and 17O/16O, which are similar in the Earth and the Moon. The same is true of chromium isotopes. Therefore this theory explains the broad similarity between the Moon's overall composition and the composition of the Earth's mantle, and the corresponding global depletions in the Moon of iron and the siderophile elements (with additional depletion in the lunar mantle due to lunar core formation). It also explains the Moon's observed depletion in volatile and moderately volatile substances, and the corresponding enrichment in refractory substances - the material sprayed out by the embryo collision would have been hot enough to lose a high proportion of its volatile materials to space. The anorthosite composition of the lunar crust (Section 7.1.6) is also explained by the impact origin - the final stages of lunar accretion would have involved a heavy bombardment that would have melted the surface thus allowing these low-density silicates to rise to the top. Finally, from the present 5° inclination of the Moon's orbit with respect to the ecliptic plane, it can be inferred that this inclination was initially about 10° with respect to the Earth's equatorial plane. This can be shown to be consistent with an impact origin. From all this evidence, the embryo collision theory is highly favoured for the origin of our satellite. Outline the factors that are relevant to explanations of why the interiors of the Moon and Mars are cooler than that of the Earth. You should refer to the general principles in Chapter 4, rather than try to come to any firm conclusions. The remaining large satellites and Pluto are all in the outer Solar System, and so we have to consider the possibility that icy materials are substantial components. Whether this is the case is indicated by their mean densities, and the values for all but Io and Europa are sufficiently low to indicate that they are icy-rocky bodies, with icy materials accounting for roughly half the mass in the iciest of them. In the solar nebula the icy/rocky mass ratio is thought to have been about 3:1, and so it seems that the greater volatility of icy materials has somehow led to their depletion in these bodies, and to an even greater depletion in Io and Europa. Hydrogen and helium are excluded as significant contributors to the mass because only in the giant planets are pressures sufficient to compress these substances to appreciable densities. Water was undoubtedly the most abundant icy material in the solar nebula, and it condensed in and beyond the Jupiter region. Beyond the Jupiter region the more volatile ices condensed, notably ammonia (NH3), methane (CH4), carbon dioxide (CO2), carbon monoxide (CO), and molecular nitrogen (N2). If chemical equilibrium was attained, then at the low temperatures of the outer solar nebula, nitrogen would have been present largely as NH3 and NH3.H2O, and carbon as CH4 and CH4.7H2O. 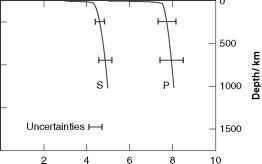 However, the low densities in the outer Solar System disfavoured chemical equilibrium. In the interstellar medium nitrogen is present mainly as N2 and carbon as CO, and so the outer Solar System could also have had appreciable quantities of CO, N2, and N2.6H2O. Near to where a giant planet was forming, the higher densities and raised temperatures might have promoted a shift towards chemical equilibrium. Sufficiently close to a protogiant many icy materials would have been unable to condense. □ Why not? A protogiant was luminous, and so the temperatures in the protosatellite disc (Section 2.3.1) would have been too high. Recipes for icy-rocky bodies thus have a range of icy ingredients available. The proportions depend on the volatility of the different ices. Water is not only the most abundant icy material, but also the least volatile, and it is stable over a wide range of conditions. Thus, water is expected to be the most common icy material in the interiors of all of the icy-rocky planetary bodies. The more volatile icy materials are expected to be more abundant, the further the body is from the Sun, and they could be concentrated towards the surfaces. This expectation is borne out by what is known of the surface compositions. The large icy-rocky bodies are Ganymede, Callisto, Titan, Triton, and Pluto. Ganymede and Callisto are two of the four Galilean satellites of Jupiter, and these four will be considered together in the next section. Therefore we start with Titan, the largest satellite of Saturn, and second only to Ganymede in size among the planetary satellites of the Solar System. Titan has a mean density of only 1880 kg m-3. This is consistent with 52% of its mass being silicates, and the remainder being predominantly water (as ice) with about 15% NH3. Some CH4 should also be present. NH3 and CH4 are probably caged at a molecular level within surrounding water molecules, in what you have seen are called clathrates. Titan has a substantial atmosphere, largely of N2 (probably derived from NH3) but with a few per cent of CH4, and other gases. Differentiation seems likely given the calculated accretional energy and radiogenic heating. The magnetometer on the Cassini Orbiter (Table 4.1) has failed to detect a magnetic field of internal origin — the magnetic field at the equator is at least 10000 times less than that at the Earth's equator. The Orbiter, the Huygens Lander, and Earth-based IR observations indicate a surface dominated by water ice, but with ices of CH4 and other hydrocarbons also present in abundance. The surface appears young, perhaps no more than 300 Ma in some places. Figure 5.7 shows one possible model of Titan's interior, in which it is assumed that differentiation has proceeded to the point where an iron-rich core has separated from the silicates. This is overlain by a silicate mantle depleted somewhat in siderophile elements, overlain in turn by a mantle of icy materials, predominantly water. If an iron-rich core has not separated, then the silicate mantle would have a 100—200 km larger radius. Any iron core could be (partially) molten, but is not generating a detectable magnetic field, perhaps because convection is not vigorous enough, and because Titan rotates rather slowly, in 15.9 days. The structure of the icy mantle depends on the temperature and pressure versus depth, which are unknown. In Figure 5.7 a layer of liquid is shown over the depth range 75—375 km, which is possible if the temperatures are in the approximate range 220—250 K and the water is mixed with various recipes of other icy materials. Salts would also be dissolved in the water, in which case they would dissociate into ions, making the liquid electrically conducting. This could be detected by the magnetic field that would be generated by the passage of this conducting liquid through Saturn's magnetic field, and would be distinct in its spatial form from the magnetic field that has been ruled out by Cassini. However, so far, the only magnetic effect of Titan on Saturn's magnetic field is due to Titan's atmosphere. Figure 5.7 Cross-sections of Pluto and the large satellites in the outer Solar System. most of it. Ices of N2, CH4, CO, and CO2 have been detected on the surface. Observations, particularly from the Voyager 2 spacecraft in 1989, reveal ongoing volcanism involving the very volatile N2. This is thought to be a lasting consequence of the primordial tidal energy released during capture, and of subsequent radiogenic heating. Volcanism involving icy materials is called cryovolcanism (from the Greek kruos, meaning icy cold, or frost). Distant Pluto is small, and has never been visited by a spacecraft. Consequently, we do not know much about its interior. Its mass has been obtained from the orbit of its satellite Charon, which gives the sum of the masses of Pluto and Charon (equation (4.2)). Charon is not that much smaller than Pluto so we cannot assume its mass is negligible. The individual masses of Pluto and Charon have therefore been obtained by measuring the position of the centre of mass, and using equation (4.3) to obtain the ratio of the masses. The resulting mean density for Pluto is 2030 kg m-3. The use of its tiny satellites Nix or Hydra would give a more direct determination. 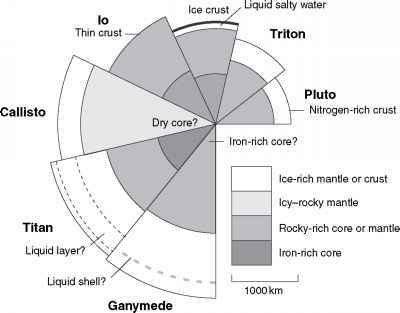 Pluto is thought to be differentiated into a partially hydrated rocky core, an icy mantle mainly of water ice, and an icy crust that spectrometric observations show to be mostly solid N2, with a few per cent of CH4 and some CO. If Pluto was not formed ready differentiated, then radiogenic heating plus the tidal heating due to Charon should have been sufficient to cause differentiation. Tidal heating is promoted by the proximity of Charon, only 19 570 km from Pluto, and by the comparatively large mass of Charon - about 10% the mass of Pluto. Today, Pluto is expected to be solid throughout, given its small size, though the lower icy mantle might constitute an asthenosphere. Table 5.3 Model pressures at the centres of Pluto and the large satellites of the giant planets, plus some central densities and temperatures"